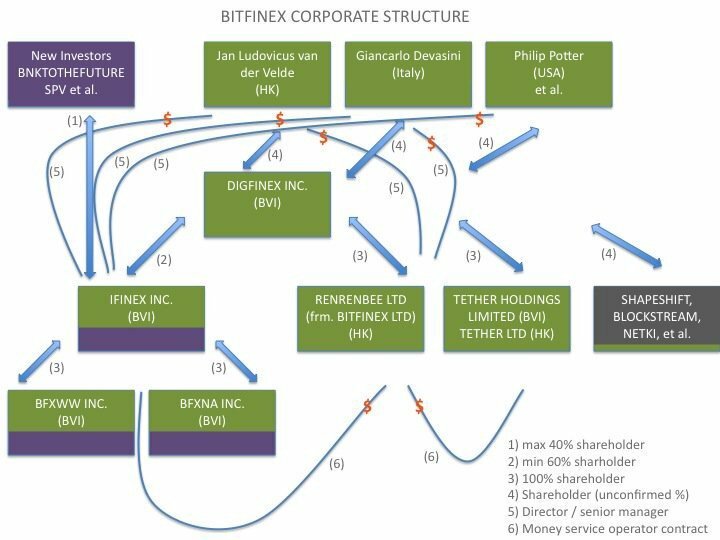 Is Tether and Bitfinex the New MT Gox? Allegations are being made that bitcoin’s biggest exchange, Bitfinex, which is currently handling some incredible volumes of $800 million in the past 24 hours, is printing money out of thin-air through Tether, a centrally issued token that is meant to be backed by dollars. An individual who goes by the pseudonym Bitfinexed is believed to be the person that claimed he found finex’s hacked coin, but, he alleges, the contract went sour. The individual, thus, appears to have gone “sour” too, dedicating much of his time to look into Bitfinex, or at least so it seems. “30 million more fraudulent tethers, coming right up. November is officially the most tethers they have printed in one month. Imagine that, no legitimate banking, with a product that doesn’t work,” he says. The allegation is that bitfinex is in effect printing money (tethers) out of thin air, with no dollar backing, then using the “fake” tether to buy “real” crypto such as bitcoin. $30 million tether printed just a few hours ago. It is impossible to prove the allegations because you’d have to prove a negative. That is, you can’t prove that the tethers are not backed. However, there are reasons to suspect they are not. Bitfinex has provided no evidence to show the Tethers are backed by real dollars when some $200 million has been printed in new Tether this month at a time when Bitfinex is under a banking blockade. Who, therefore, is giving them such huge amounts, and how? Moreover, the amount of tether has incredibly shot up, from just $7 million in total at the beginning of the year to now around $700 million. It’s unclear how such huge amount of money, nearing $1 billion, could move through the banking system to Bitfinex under a banking blockade. Leading to allegations that real dollars have not actually changed hand, with the tokens simply printed out with no backing in a centralized manner. The problem is that at some point reality might catch up, with more than half a billion of real crypto, mainly bitcoin, potentially exchanged for something that allegedly is not real. Hundreds of Millions of Tether longing Bitcoin. From observation, Bitfinex has often led price movements in bitcoin, especially upwards. Traders usually tend to keep a close eye on most of the major exchanges, so if one moves upwards, others follow. But not always. There are times, like yesterday, when an exchange seemingly runs out of money. Bitcoin’s price on Bitfinex yesterday shot up above $8,000, but Bitstamp was reluctant, and couldn’t really follow. That’s either because traders on stamp thought it was too high or, perhaps more likely, they had simply run out of money. In these sort of situations, especially during fast price movements, a huge premium develops until arbitrage kicks in. Any such premium yesterday was very brief, with bitcoin hanging out at around $7,800, just where Bitstamp wanted it. If such allegations are true, therefore, their effects are probably limited. However, just what that limit is, is not very clear. When MT Gox went out in 2014, bitcoin’s price went down to just before Willy the bot. It then went on to rise last year, continuing a more than year long bull run. There are factors that indicate there has been considerable growth. Coinbase’s user numbers, for example, have doubled this year. While bitcoin tweeter discussions surpass that of many top stocks combined. So there appears to be plenty of real demand, but some of it might be mixed with fake shenanigans according to allegations. 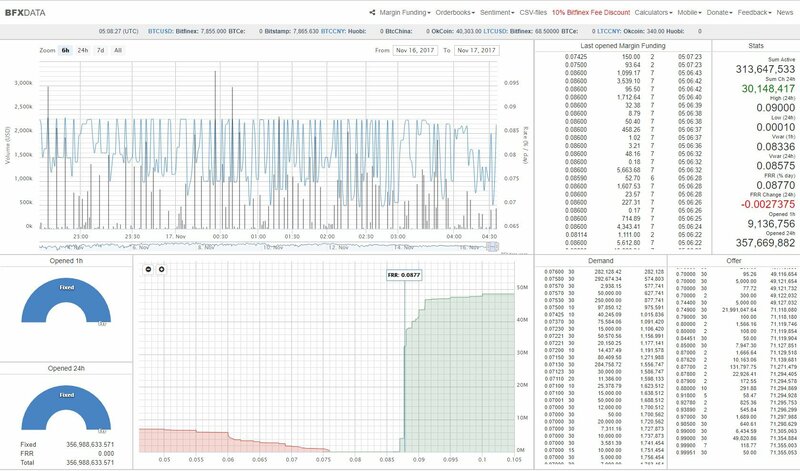 Indicating some caution is warranted, especially for Bitfinex traders.